Welcome to Focus Advertising Specialties! 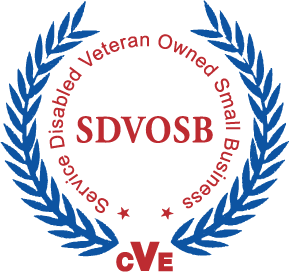 We are a Service Disabled VETERAN Owned Small Business (USMC) and were recently Certified by the VA.
We are listed as The Focus Group Ltd. Our NAICS primary code is 541890 and DUNS # 808845270. We have something unique to offer you. COMPLETE SERVICE. "Above and Beyond” is where we begin with you. Try us for fresh, unique and exciting ideas for your PROMOTIONAL PRODUCT and APPAREL needs. We provide: FIRM QUOTES and VIRTUALS of your Logo/text imprint BEFORE you order (since we do these graphics in-house,) items within your budget and ON TIME delivery. We know our products and ONLY use quality, reputable vendors. We have expanded our services and are now providing superior COMMERCIAL PRINTING such as; Bookmarks, Brochures, Business Cards, Calendars, Envelopes, Flyers, Folders, Labels & Stickers, Letterhead, Menus, Notepads, Postcards, Posters, Rack Cards, and Vinyl Banners. When you are ready to purchase; select your items and either call or e-mail us. We can also assist you in selecting the right product. We work with you to create fulfillment in your marketing and promotional goals.